AS BYRON Bay continues to debate approaches to alcohol-fuelled violence in the town, new research from the University of Newcastle shows reduced trading hours and stopping serving alcohol earlier significantly reduced alcohol-related crime in Newcastle. Professor John Wiggers of the University of Newcastle's School of Medicine and Public Health's research found a 33% sustained reduction in alcohol-related crime after mandatory lockout at 1.30am and reduced trading hours for serving alcohol were introduced in 2008. 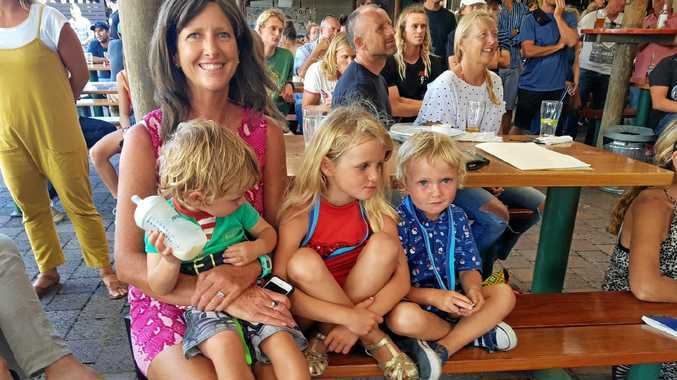 Byron Bay community group Last Drinks at 12 have widely touted Newcastle's success as a case to cease service of alcohol in Byron Bay after midnight. However, Newcastle's measures may not be directly applicable to Byron Bay. In Newcastle, service of alcohol was stopped at 3.30am instead of 5am. The Byron Bay reform proposal would see licensed venues wind back service of alcohol to midnight from 3am. Byron Bay Liquor Accord chair Hannah Spalding said stopping serving alcohol at midnight would see "the primary function of licensed premises destroyed" as it was unlikely patrons would stay in venues if alcohol was not being served. Newcastle licensing sergeant Wayne Buck confirmed a 33% reduction in alcohol-fuelled crime in Newcastle and a continuing trend down. Last Drinks at 12 did not return calls seeking comment. Two go to hospital after police act on Byron Bay "hoodlums"